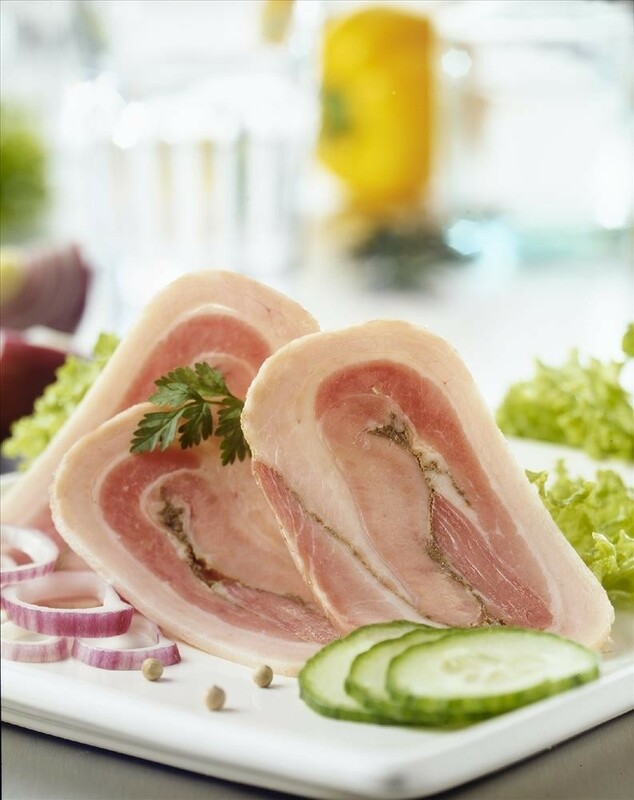 Delicious pork roulade slices, fresh from Denmark. These roulade slices are perfect for open sandwiches - "smørrebrød. Place on top of buttered rye bread and top with tomato, onion and parsley and add a blob of remoulade or mayonnaise. Delicious with a shot of akvavit!